← Fabulous Florets Triple Time Thank You Card – Stampin’ Up! Great News! Stampin’ Up! just announced that they will be offering free shipping on all orders placed from April 21-25!!!! So get your orders ready this weekend and have fun shopping next week. The retiring list will also be announced on Monday so you’ll be able to get free shipping on all of those items too. Be aware that all items (including stamp sets) on the retiring list are available only while supplies last. If there is something on the list that you would like to add to your collection, be sure to shop early for the best selection! Remember, if you need any stamping supplies, I’d be very happy to be your Demonstrator. 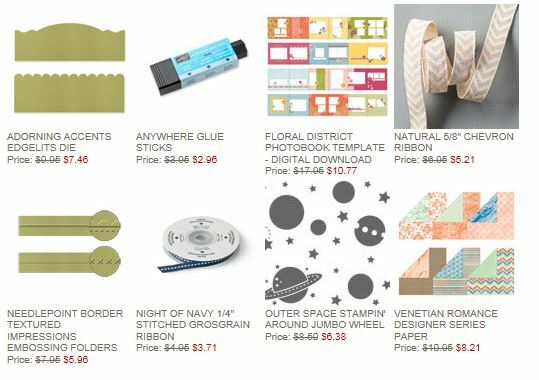 Just click on Order Stampin’ Up! Online Now in the main menu or in the sidebar to go directly to my online store or drop me an email if you have any questions. I’m here to help. I can’t wait to see what you decide to stock up on!